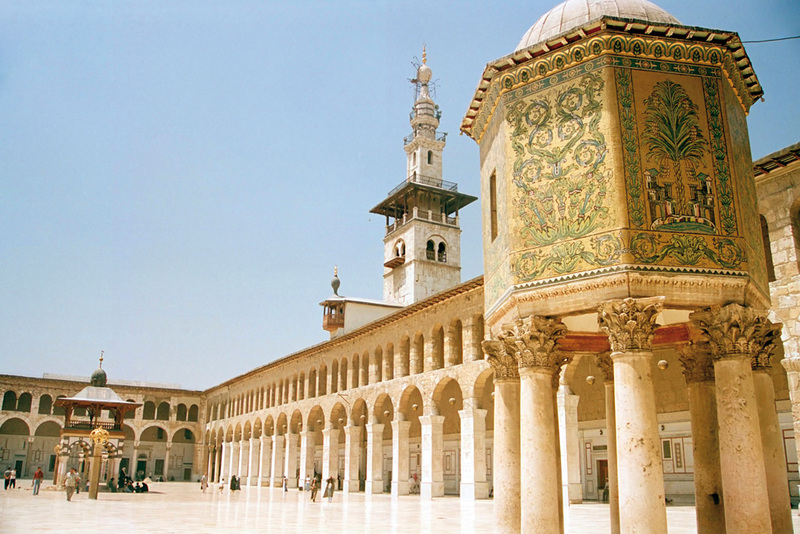 From war reporter to tourist, Peter Oborne fell in love with Syria and encourages the intrepid traveller to discover its breathtaking beauty for themselves. For the last five years I have travelled repeatedly to Syria. I’ve crouched on the frontline with the Syrian army soldiers overlooking Isis positions. I’ve lived under mortar fire from rebel fighters. I’ve interviewed refugees in camps in Jordan and Turkey. I was in Aleppo when it was under siege and permanent bombardment during the freezing winter of 2016. I’ve talked to jihadis fighting the regime in safe houses outside Syria. Those days are over. It is now perfectly easy to travel safely in large parts of Syria without any more risk than you might encounter in any Middle Eastern country. Tourists can visit the beautiful, ancient cities of Aleppo, Damascus and Palmyra – all places which were held, in part or entirely, by rebel control until just a year or two ago. It’s an unbelievable change. Once again ordinary people can come to Syria, so long as they take good advice, without a serious risk of being kidnapped or killed. This heartbreakingly beautiful country is open for business. And there are plenty of places to go. During the worst of the fighting, I used to stay at the Beit Al Wali hotel in Damascus ($120 per night). It’s a fabulous old town house of the kind for which the ancient city is famous. It has inner courtyards, immaculate service and great architectural distinction. I’ve visited there many times when the thud of incoming mortars was so constant you didn’t even look up and take notice. Now, at last, it’s safe to visit. You are guaranteed a fabulous welcome and already Western tourists are tentatively beginning to return. Tourist guide, Fadi, told me when I spoke to him last month, that he’d taken three Britons around Syria without difficulty or risk the week before (he charges $100 a day). He said, ‘We are already starting to operate groups from China and the West, from everywhere.’ Fadi ran his own company before the war began in 2011, but like so many other Syrian businessmen, he had to close down once the conflict started. He was thrown back on his own resources. At one point he went to work in the oil industry in Deir ez-Zor. Life was tough and dangerous. He was kidnapped twice. And if you buy him a drink, Fadi has many stories about how he talked himself out of trouble when held up by jihadi fighters in very sticky situations. They will make your hair stand on end. When Deir ez-Zor became too hot, Fadi went back to Damascus where he presented a children’s programme on national TV. It was extremely successful, but he sadly recalls that there was no money in it and he was forced to work for the government as a press minder looking out for journalists. That’s how I got to know him. Now he is returning to his old job. I cannot recommend him enough. With a fat belly and a long greying beard, he’s terrific company. Syria is truly open again. Visas are available. As Fadi says, ‘Tell me you are coming and I will approach the ministry of tourism. They will sort out your immigration needs within a couple of weeks or so.’ ow do you get to Damascus? Until very recently it’s been tricky. Roads from the north have been blocked by Islamic State and Al-Qaeda fighters, while few flights have gone directly into the city. That’s changing. Diplomatic relations are opening between neighbouring countries. Flights are coming into Syria from neighbouring Gulf countries, and you can do a two-hour drive from Beirut across the Beqaa Valley. Some people may have moral doubts about travelling to Syria. They may feel they are giving money and encouragement to the Assad regime. I disagree. Bear in mind that great crimes have been committed by all sides in this terrible war. The impression given in parts of the Western press that President Assad has been responsible for all of them is false. In any case, as a tourist, you’ll be bringing money to help ordinary people rebuild their livelihoods. By boosting tourism you’ll be enabling the industry to stand on its own two feet again. That, in my view, can only be a good thing. Where should you go? Definitely stay several days in Damascus. It’s one of the most beautiful and ancient cities in the world. Walk down Straight Street – it appears in the Bible – and go and discover the marvellous peace and beauty of the Chapel of Saint Ananias, the saint who restored Paul’s sight after he had been struck blind on the road to Damascus. Then walk in to the city’s Muslim Quarter, which contains one of the world’s oldest and largest mosques: the Umayyad Mosque. The ancient markets of Damascus are back up and running. You can get plenty of bargains. Last time I was there I purchased a pair of shoes for $12. I’m wearing them as I write. The outside cafés are fantastic. 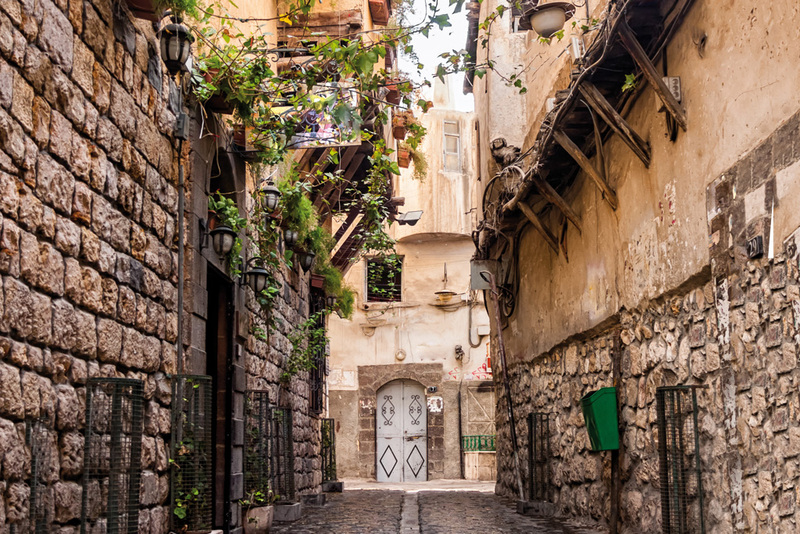 Damascus is an open and relaxed city where young men and women can walk hand in hand and Muslims and Christians rub shoulders without enmity. Then on to to Maaloula, one of a handful of towns in the world where Aramaic, the language of Jesus Christ, is still spoken. Five years ago, I was present at the relief of Maaloula when civil defence forces flushed out Al-Qaeda insurgents from this ancient town. Many historic churches and shrines were in ruin but are now being restored. 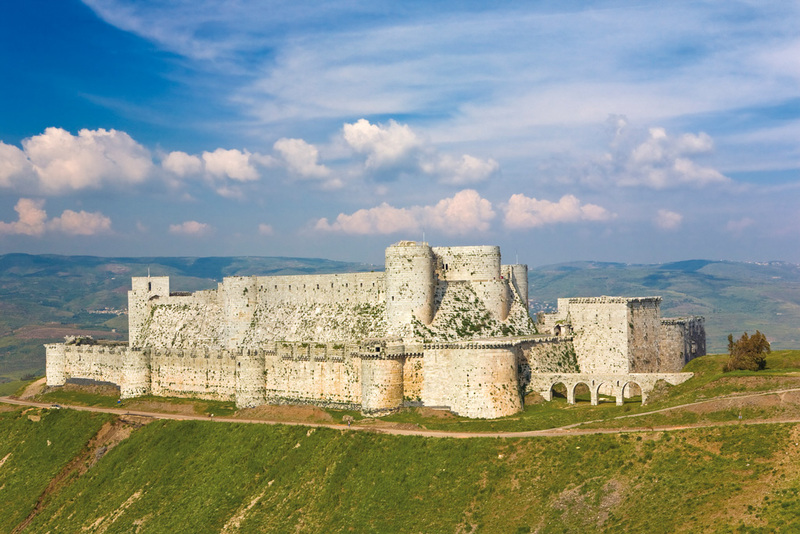 From there travellers should go to the legendary historic site of Krak des Chevaliers (‘Castle of the Knights’), which was built during the Crusades and remains one of the best preserved examples of medieval military architecture. I then recommend the journey to Aleppo. 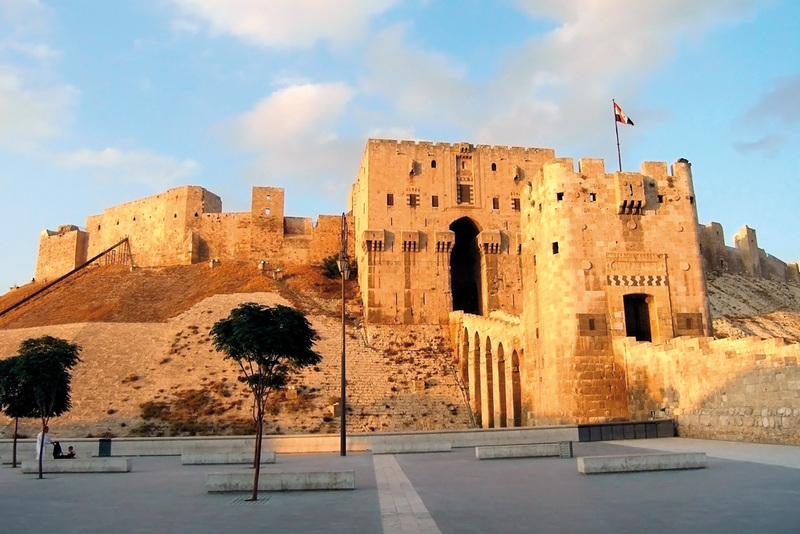 Whereas the old city of Damascus remained intact, the old city of Aleppo suffered terrible destruction during the war. While I stayed in Aleppo at the height of the siege three years ago, the citadel and the old city were inaccessible. Today, you can visit both. Do not omit Palmyra. 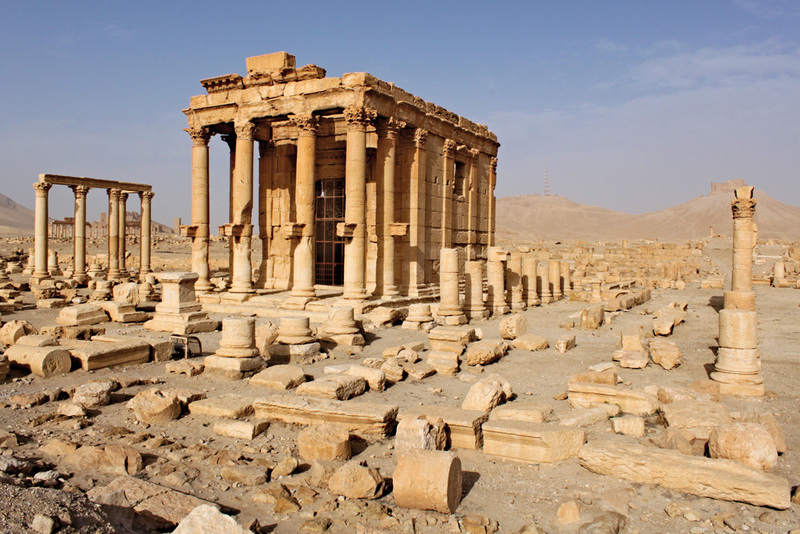 The 2,000-year-old city, captured twice by Isis, is being lovingly restored. According to the Syrian government, the UNESCO World Heritage site will be open to the public by summer 2019. In my opinion, this is way over the top. However, anyone thinking of a trip to Syria must take this advice extremely seriously. And it is completely true that some areas of the country – such as Idlib Province – are still under rebel control. Don’t even think of going to such areas. You will be killed or kidnapped and held to ransom. But large areas are, in my experience, safe. Not entirely safe. But nowhere in the world is entirely safe. There’s often risk involved in travelling to many of the most beautiful parts of the world. So Syria is for intrepid travellers only. Indeed I cannot recommend a trip too much. This is a country which has been afflicted by a terrible tragedy. Hundreds of thousands have been killed and millions have fled the country. But it is a nation of extraordinary beauty and incomparable architectural remains. Best of all is the generosity of the inhabitants. I’ve fallen in love with Syria, indeed, so much so that I plan to return with my wife to the country I have previously travelled only as a lone reporter. I would happily take my children too. I urge other intrepid travellers to make the journey. It will repay you a million times.